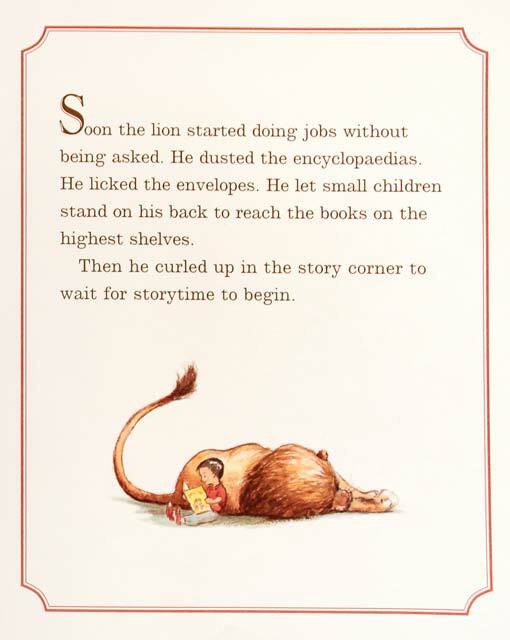 A heart warming story of a lion who loves storytime and why exceptions to rules are as important as keeping them. 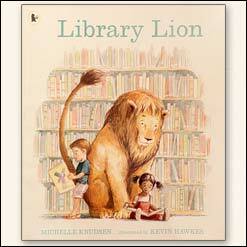 When a lion walks into the public library no one knows quite how to react. There are rules about behaviour but he is not breaking any of them…There are however no rules about lions so he is allowed to stay. 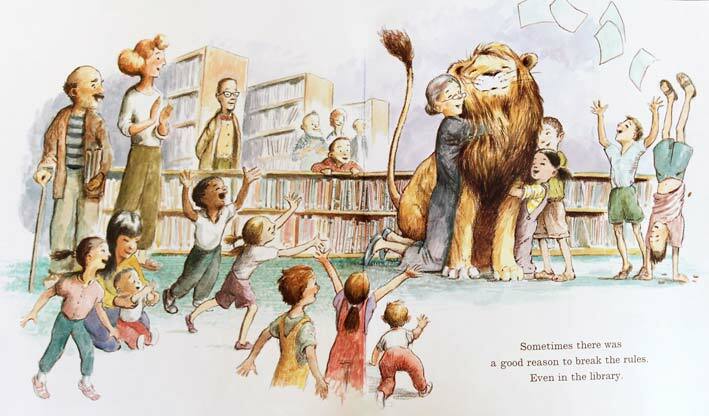 This beautifully illustrated book mirrors perfectly how libraries used to be. Quiet places where running was not allowed and the librarian’s word was final. RAAAHHRRRR! 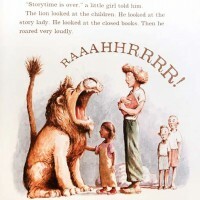 Roars the lion in disappointment when storytime is finished. The librarian Miss Merriweather marches out of her office to find out who is making so much noise. The children understand the lion’s sadness. “If he promises to be quiet, can he come back for storytime tomorrow?” a little girl asked. “Yes. 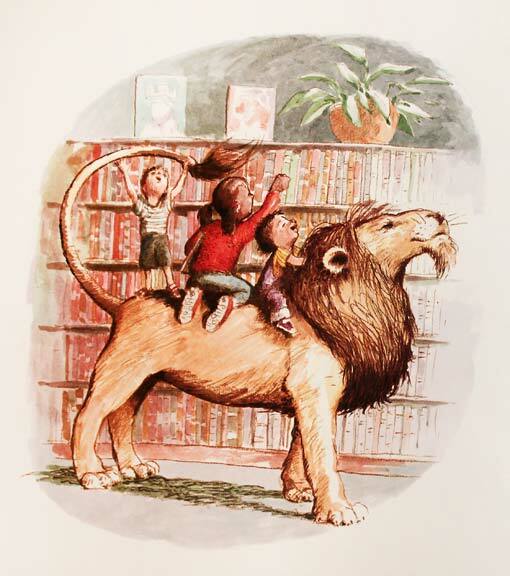 A nice, quiet lion would certainly be allowed to come back for storytime tomorrow.” Miss Merriweather concedes. 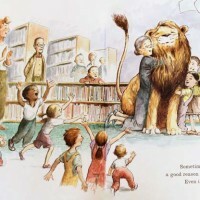 Library lion stays long after storytime and begins helping out around the library. 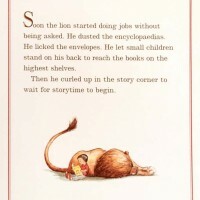 He dusts the encyclopedias with his tail, lets small children stand on his back to reach the higher shelves and licks the envelopes for the overdue notices. 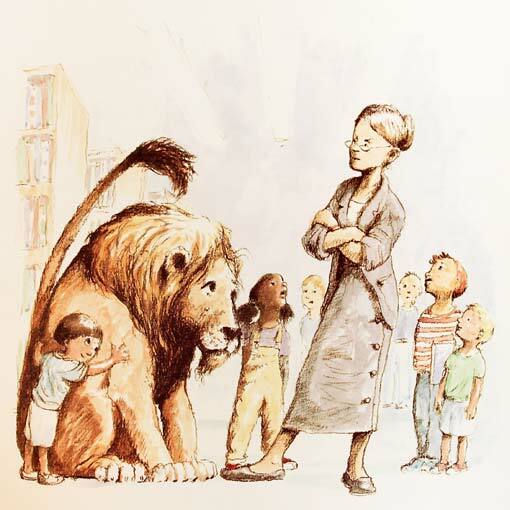 Mr McBee the other librarian does not approve, so when the lion tries to alert him that there has been an accident, he tells the lion to go away. RAAHHHRRRR! 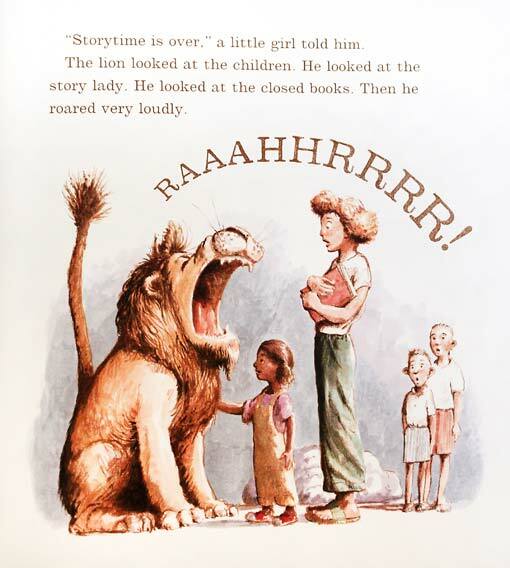 Roars the library lion in a final plea to get his attention. “You’re not being quiet, you’re breaking the rules” Mr McBee gasped. 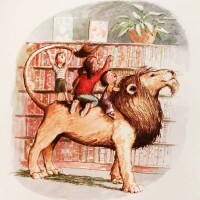 The lion knows it is true and sadly leaves the library. When Mr McBee discovers an injured Miss Merriweather he is reminded, “Sometimes there is a good reason to break the rules. Even in the library”. This is a supportive introduction to the idea that sometimes we need to do things that we would normally never do and that though there may be consequences it can still be the right thing to do. This is a complicated moral concept but could be used as a discussion point. Perhaps use a couple of examples, like what you might need to do in an emergency. 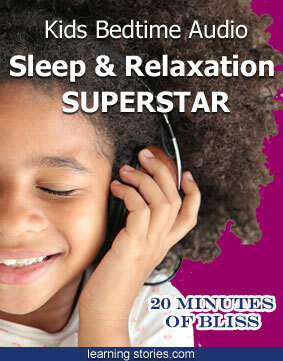 This may also help explain why adults do certain things which children may not understand. The story has a happy ending, as when the lion does not return Mr McBee goes and finds him.